Recently, I was fortunate to catch up with Katherine Arnup, author of the new book, “I don’t have time for this,” a practical, yet emotionally supportive book that guides caregivers through the difficult process of caring for aging parents. Katherine’s amazing book is available here: “I don’t have time for this,” by Katherine Arnup. Katherine is an example of the highly talented volunteers who contribute to their organizations far beyond the hours recorded. These volunteers ambitiously advocate for their chosen organizations and work behind the scenes to create awareness. For years, Katherine has been a strong voice advocating for terminally ill people and their caregivers. In this two-part post, we have the opportunity to learn from Katherine’s story, one which formed her dedication to spreading awareness of the hospice mission. Like Katherine, mission experienced volunteers give our organizations the opportunity to gather important feedback about how programs are working and determine future direction. VPT (volunteerplaintalk): Thank you for speaking with us, Katherine. Your book is inspired; full of practical wisdom, but tempered with the emotions that come along with care-giving. What prompted you to write this book? K (Katherine): I have always been a writer. My sister had been sick with cancer for many years. When it progressed to the final stage and was obviously fast-moving, I was on sabbatical from work at the time. It was then that I committed to making the 4 hour trip to Toronto every week to care for her. It was inevitable that I write this book. I had learned so much. I’d written small pieces during her illness. Four years after her death, in 2001, I started volunteering at my local hospice in an 8 bed care facility. That same year, I began to write about my experiences. I suppose you could say it was cathartic. I had all these stories in me. Then, in 2003, my father, who was 92 at the time, became ill. My father, a retired judge had never met an obstacle he couldn’t overcome in his life, until that year. Getting sick was the one thing he couldn’t overcome. He tried though and did well, but eventually he did die. Once again, I would travel the 4 hours to Toronto to see him. VPT: How was that experience? K: I learned different things from him while he was dying. I learned he needed company even if it was only to watch golf or curling on TV with him. I learned how to just sit and be with him. My father was a slow speaker so that gave me the opportunity to write while I sat with him. In contrast to my sister whose disease moved rapidly, his came in increments which gave me more time to be with him, and to process and write. Shortly after my father died, my mother got sick and I’m a little embarrassed to admit it, but I thought, “oh my God, not again.” Once again, her death was a different journey. My mother had an aneurysm many years before and had been disabled for years before she got cancer. I wrote about my mother in a piece I titled, “Not My Mother,” because the aneurysm had honestly already stolen my mother from me. I continued to write and I created a blog, “Hospice Volunteering” in 2011. And I’ve been writing there ever since. I cover the gamut of topics from what we do as hospice volunteers to how to be with the dying. I’ve included book reviews, reports on visits I’ve made to hospices throughout my province and conversations with other volunteers. VPT: Did you tell your hospice about your blog, which by the way, I highly recommend reading? K: I did. I encouraged them to share it with the other volunteers. 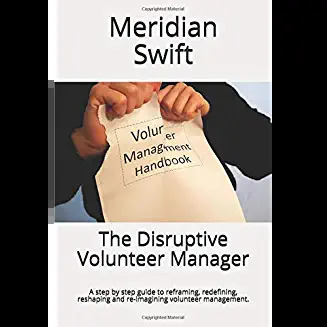 Other hospices heard about it and did share with their volunteers, especially when I wrote about issues important to volunteering. I knew my experiences would help new volunteers in their work with hospice patients. For example, conversations with patients will change on a week to week basis. I wanted new volunteers to know that you have to let go of expectations and be fully present with the patient as they are in any given moment. VPT: How do you think your book furthers the hospice mission? I would say to other volunteers and even administrators, slow down and remember the moments of joy. We are all so busy checking off the items on our “to do” lists that we miss the opportunity to feel joy. We need to find ways to support one another. VPT: Next time, part 2 of our interview. 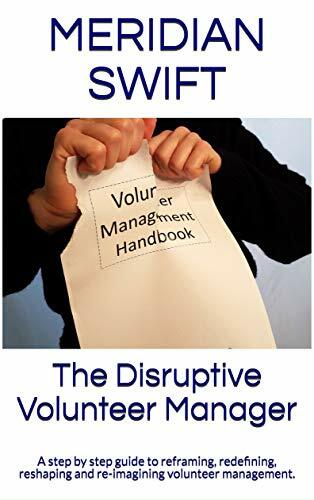 Katherine and I talk about the ways organizations can support volunteers who bring expertise and we discuss how embracing talented volunteers lift up everyone. Recently, I had a wonderful conversation with the author of Volunteer plain talk (https://volunteerplaintalk.com). It’s always so energizing to have the opportunity to talk about mission and meaning in the volunteer work we do. Part 2 will be posted next week. Thanks Eileen, she is amazing.